In early 1926, at the same time as the Carmelite friars were making plans to build a church building for St. Therese Parish (they had been using the Cloistered Nuns’ Chapel since they were founded in 1924), they recognized the need for a school. “No school, no parish church” became an axiom. In February 1926, the pastor, Fr. Malachy Cranfield, was authorized to have a church-school combination building erected, and an architect, Ross Montgomery, was hired. The groundbreaking took place on June 1, 1926, and the building was completed in time for the first school year to begin the following September. The school was on the ground floor, and the church, on the upper. In its first year, beginning September 1926, the school enrollment was fifty-three children. 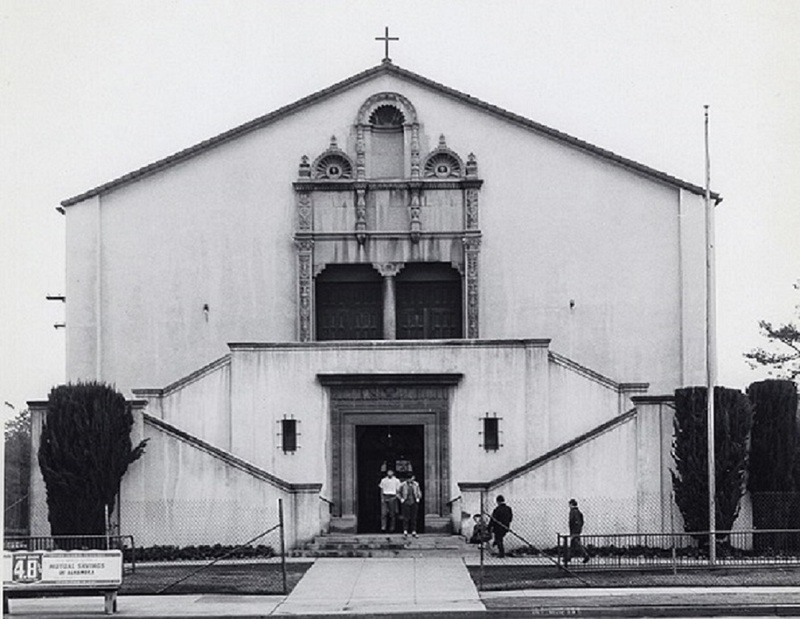 By 1927, because many more people had relocated to Alhambra to take advantage of the new school, the enrollment had grown to 185, with two grades per class. Houlihan, the pastor appointee in December 1927, to find a new order of Sisters. After an extensive search, the Sisters of St. Mary of the Woods in Indiana (Sisters of Providence) consented to staff the school. In 1960, because of increased school enrollment, Fr. Gerald Winters, the new Pastor that year, oversaw the demolition of the old school and hall and the construction of the present school classrooms and Parish Hall, which were completed in 1963 (the hall is now officially known as the Fr. Gerald Winters’ Auditorium). 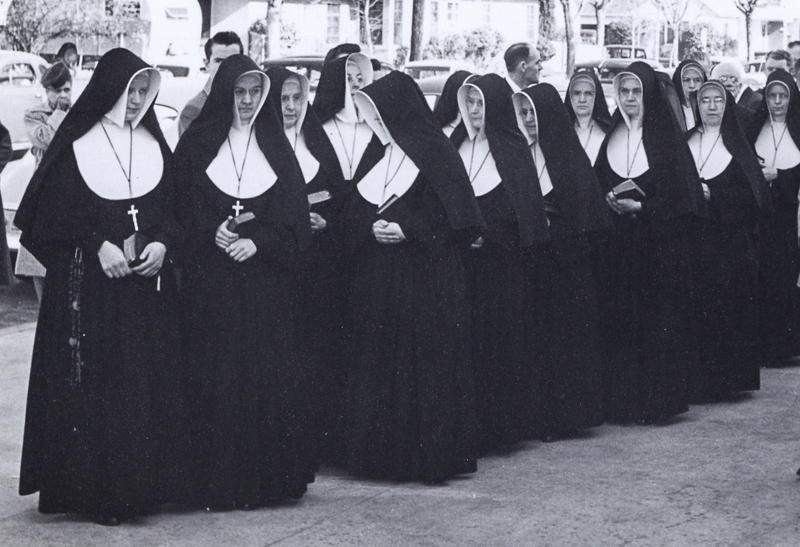 Gradually through the 1970’s, the Sisters of Providence left and were replaced with lay teachers. By the mid-1980’s, the school was solely staffed by lay persons. The first lay principal, Paul McLaughlin, was hired in the mid-1980’s. Following him were Grace Walker (August 1993 – January 2000), Michael Cantu (August 2000 – June 2004), Christopher Heygood (August 2004 – June 2005), Christina Buckowski (August 2005 – June 2010), Carmela Lovano (August 2010 – June 2014), and Alma Cornejo (August 2014 - Present).